Once you're in it's easy. That's why getting in is not so easy. At Global Natives we believe in slow networking and high credibility. In other words: SlowNet-HighCred. enough time, finding mutual interest and giving serendipity some room to play. The results speak for themselves. The pillars of SlowNet-HighCred are Identity, Interest and Commitment. In the share economy, functionality matters. ​With shared opportunities, it is trust. It is in fact our secret sauce: to become a member you need genuine commitment as a reliable partner whose identity and personal information, intentions and cooperativeness can be taken for granted by your fellow members. 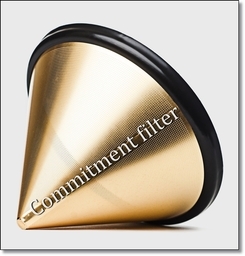 Since everyone else has gone through this commitment filter too you can be certain that the families you meet are real, trustworthy, reliable, dedicated to our manifesto, enthusiastic about global education, open minded and eager to inspire their kids to take a multifaceted and multicultural approach to life. They all believe in fair give-and-take. And they all have taken the sincerity pledge. About IDENTITY: our members are real persons with a name and a face. No nicknames, no aliases. The application process verifies the families’ identities and looks at all additional credentials, we really know our members. Authenticity of person and personality is our key to sustainable success. All Global Natives acknowledge the “No-Bull-Policy” as their code of conduct. About INTEREST: mutuality of interest is the essence of win-win relationships. It ensures understanding, reliability and the pursuit of a common purpose between kindred spirits. About COMMITMENT: synergies need personal dedication. Global Native families identify with the philosophy of the network and know that they can trust each other. Focus and clarity matter as much as reliability and integrity.